Several Lizards are located in spots that make looting them difficult. The one at the bottom of Grave of Saints will usually drop its item through the wooden bridge (a known bug with such surfaces). The Lizards located in Harvest Valley and near the second bonfire in Brightstone Cove Tseldora can throw their loot into the bottomless poison pit or the sand pit if killed while moving. This will effectively destroy your loot, as the Lizard will not respawn and the items will not be placed where the Lizard was originally, even if you reload the game or use a bonfire. 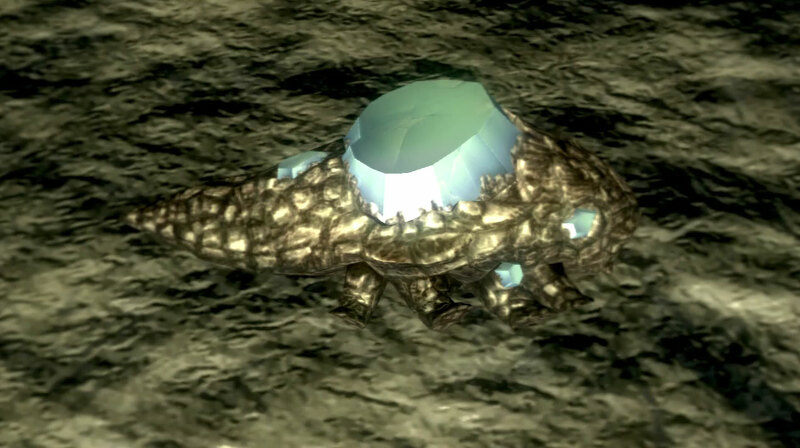 Crystal Lizards with a blue gem on their back will not attack under any circumstances. Upon being detected they will turn to face directly away from you and run forward in a straight line. After approximately ten seconds of running they will camouflage themselves and disappear; if they are not killed before this time, they will reappear after resting at a bonfire. Note, however, that Crystal Lizards are one-time spawns and will only continue to reappear if you fail to deliver a killing blow; once defeated they will not respawn until the next game cycle or the use of a Bonfire Ascetic. These elusive creatures are tiny and exceedingly difficult to hit; they also have a unusually high defense and can survive several blows from a weak or base level weapon.